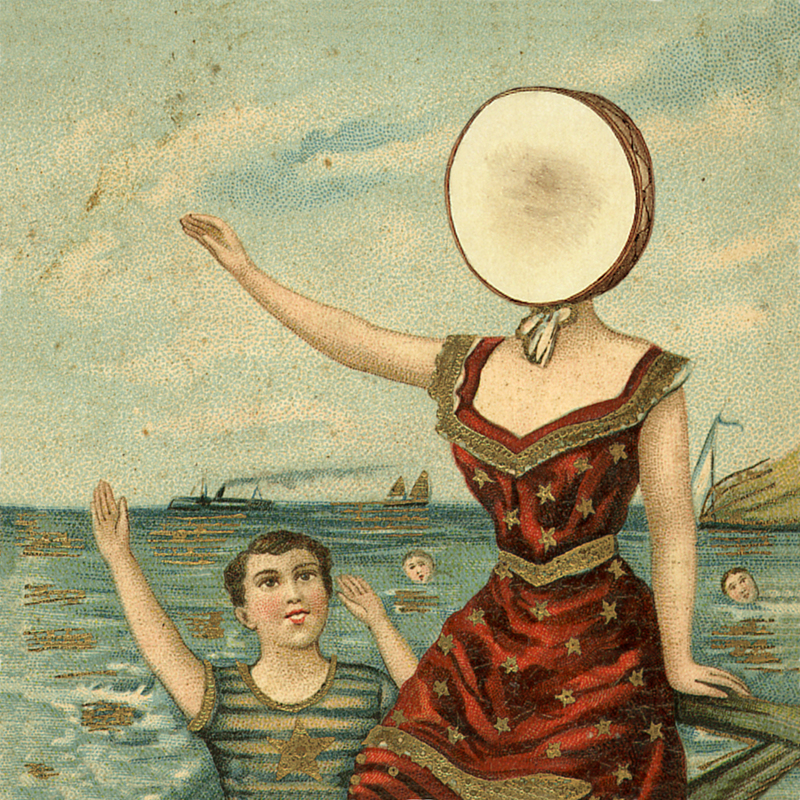 On the heels of their soul-stirring Cleveland show, the 106th episode of The ’59 Sound will focus on Neutral Milk Hotel’s In The Aeroplane Over The Sea – a masterpiece and easily one of the most influential alternative albums of the late-90s. Few albums before or since are quite as affecting. Pavement and Neutral Milk Hotel are musical contemporaries and both massively influential alternative rock acts. I consider Sebadoh to be an influence on Neutral Milk Hotel’s work. Neutral Milk Hotel’s Jeff Mangum cites Tall Dwarves as an influence. The horns throughout In The Aeroplane Over The Sea are surely influenced by Louisiana bands like these legends, whom Mangum probably heard during his childhood in Ruston. Magnum cited this as a contemporary work with Aeroplane that is a particular favorite of his. The epic fuzz summoned on some of this album’s songs is contemporary with early Weezer. Jeff Mangum is known to cover this song live and has covered it for one of this solo releases. Having been influenced by Neutral Milk Hotel and now touring with them for a few their North American dates, Elf Power is a band that has grown up with and in the musical heritage of Neutral Milk Hotel. A contemporary R.E.M. work with Aeroplane, the album’s cover was designed with the help of R.E.M.’s staff designer Chris Bilheimer. For Ed and Brandt! The Apples In Stereo are part of the Elephant 6 Collective, a recording company co-founded by Jeff Mangum. The Olivia Tremor Control are also members of the Elephant 6 Collective. I consider Guided By Voices to be both musical contemporaries of and influenced by Neutral Milk Hotel. This baroque Kinks tune recalls some of the songs on Aeroplane and shows the band’s influence on Neutral Milk Hotel. Arcade Fire are one of modern music’s most Neutral Milk Hotel-inspired bands. Beruit’s Zack Condon draws some vocal influence from Jeff Mangum’s signature croon. The same can also be said for Page Frances’ Michael Nau. The Decemberists also draw musical influence from Neutral Milk Hotel. of Montreal are another member of the Elephant 6 Collective.